The men were caught after they uploaded footage of the incident to social media. 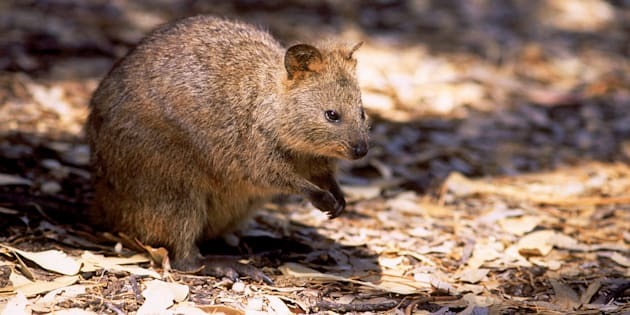 Two men have been charged over a quokka kicking incident that occurred on Rottnest Island. Two men have been charged after allegedly kicking a quokka into a wall on Rottnest Island, according to reports. A video emerged on Monday of one of the men chasing a quokka around a tree, attempting to kick it before managing to hit it into a wall. The quokka can be seen in the footage trying to run away, eventually making its escape as another man, likely the one filming, laughs. POLICE have charged two men with animal cruelty after footage appeared on social media of a man kicking a quokka on Rottnest Island.#GOOD! Police have laid charges on two men aged 20 and 21 for acts of animal cruelty, which they allege occurred at around 6PM AWST on Sunday afternoon. "The men were leaving the island today [Monday] when police located them. The quokka has not been located and it is unclear whether it was injured. Local authorities will look out for the animal," police said in a statement, according to WA Today. "The men have been evicted off the island." The pair are expected to appear at Fremantle Magistrates Court on March 13 in relation to the incident. The video comes after a series of prior acts of cruelty against quokkas on the island. In 2015, two French nationals burnt a quokka and decided to remain in jail rather than pay the $4000 fine. A teenager was given a $2500 fine for kicking a quokka in 2016 and another man was filmed giving vodka to one of the animals. Rottnest Island Authority CEO Michelle Reynolds said: "Rottnest is one of the last sanctuaries available in the world for this threatened species. The safety of quokkas and viability of the population is a priority for the authority. Quokkas are part of the Macropod family, which also includes kangaroos and wallabies, and are found in their thousands on Rottnest Island, which is located 18km west of the Fremantle coast. However, they are rare outside of the island sanctuary and currently have a 'vulnerable' status, according to the Environment Protection and Biodiversity Conservation Act 1999. The two men could face fines of up to $50,000 and five years imprisonment for the alleged attack.